Lately, I’ve been thinking about my mom’s parents. Her mother, Sylvia, was a farmer’s daughter in a tiny Missouri town. Instead of merely cooking and helping her mother keep house, she went to work in one of the two local banks. Her father, Verner, was from another tiny town several miles east. A banker by trade, he served in the US Army during WW1. He wasn’t cleared for combat duty, and ended up working in a military post office, which sounds kind of dull and rubber-stamp-ish. BUT, as my brother recently told me, his job was censoring letters from servicemen, to make sure they didn’t contain any classified information. Way cooler than stamping postmarks. Just a few years ago, I also learned that he had been married before he met Sylvia. His first wife died in the influenza epidemic of 1918. After the war, Verner returned to Missouri and took a job in the same town where Sylvia lived… at the other bank. One week Sylvia’s bank sent her over to the other bank–to fill in for someone, I suppose. That’s when she and Verner met, and they married not long after. Verner went on to serve with distinction in the state banking system. They lived for several years in Jefferson City. He worked in a state building across from the Capitol. While they were there, Sylvia also took a job. 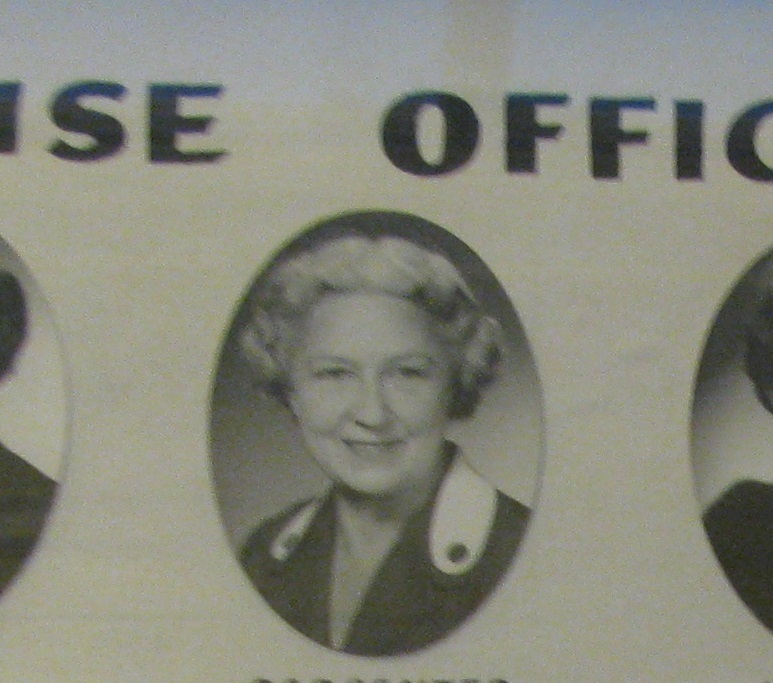 She served one or two years as payroll clerk for the Missouri House of Representatives. Her portrait is included in a composite of state officers, which hangs in the Capitol. After Verner died, which was before I was born, Sylvia took a job with the phone company rather than just sit around. Then her mother’s health began to fail, and she went back to their tiny town to help her folks. I can only imagine what it was like to go from big-city life with all the modern conveniences, to a house with no indoor plumbing in a town with only one little general store. Verner and Sylvia lived through heartache, hardship, and good times, all with gumption and integrity. And here I sit in a high-tech world where I really have it pretty easy. I wish I could go back and hear more of my grandparents’ stories. I think they’d inspire a lovely novel. After all, my grandparents were way cooler than I am. 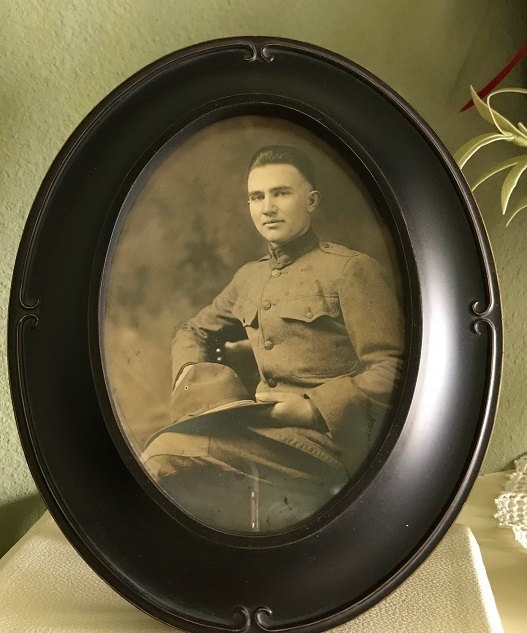 This entry was posted in Everybody Has a Story and tagged banking, family history, grandparents, history, influenza epidemic 1918, integrity, Janice C Johnson, love story, romance, World War 1. Bookmark the permalink. Wishing that I would have found out more of my families stories. lots of interesting reading. I love reading novels from the 1800’s. I would not want to live then–without the conveniences–but I like learning about their way of life and history. I enjoy reading about those past eras, too. Thanks for stopping by!